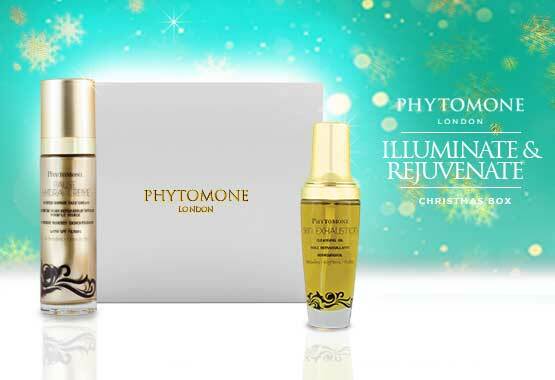 Illuminate & Rejuvenate with our deluxe skin care duo. Put a spring in your step and a zing in your skin with this gorgeous illuminating and rejuvenating duo set, guaranteed to put the sparkle back in your skin. Harsh weather and stress of organising the family festive season can take its toll on your skin, leaving you looking and feeling a little glow-less! Take a moment to rescue your skin with this perfect skin care duo and be secure in the knowledge you will look great this holiday. Out sparkle the Christmas tree with this incredible deep cleansing, nutrient dense pure cleansing oil, which comes complete with a soft bamboo exfoliating cloth, to ensure your complexion radiates a beautiful, healthy glow. Illuminate your skin, with help from the intense brightening papaya seed oil, while the hormone balancing soya bean oil replenishes your hormone deficient skin and hop-seeds detoxify your pores. Allow this incredible blend of 17 natural plant oils to invigorate you with a renewed, zesty sense of energy. Bright and clean, your skin is now prepped and ready to add the finishing touch to seal in that glow. Pause Hydra Creme is a high tech cream/serum hybrid which can also be used as an eye cream, so you don’t need to worry about having to use several different products. 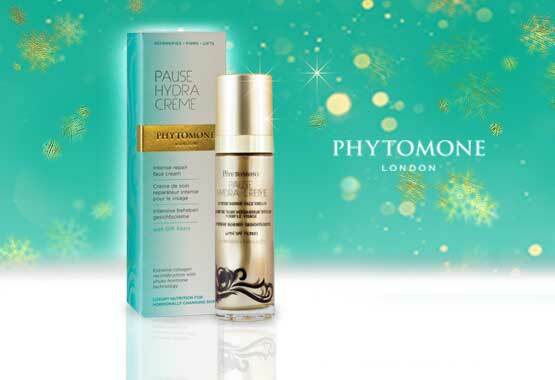 Developed with Phytomone Cosmetic HRT™️, Pause Hydra Creme is guaranteed to intensely rejuvenate and restore your hormone deficient skin. Almost instantly, you will notice lines and wrinkles appear softer and less noticeable. Use AM and PM to restore a radiant, healthy glow to your complexion. 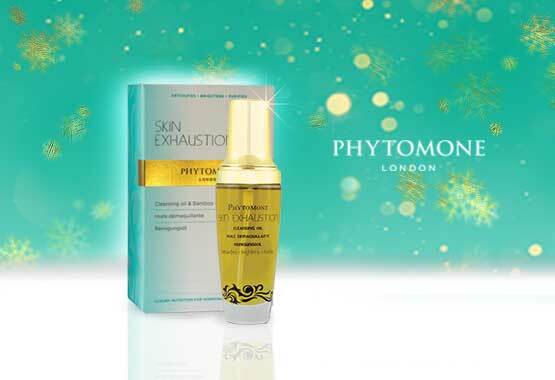 Phytomone London was named winner of the Best New British Brand beating hundreds of other competitors to take home top honours. 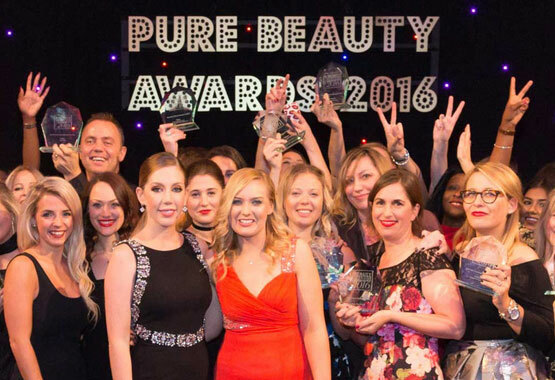 Pure Beauty presented the award to Phytomone at the Savoy Hotel London. 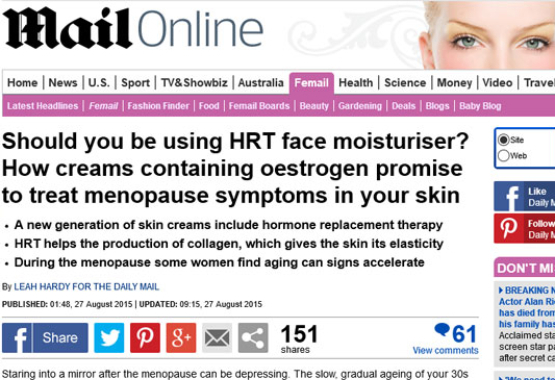 The Daily Mail Discovers Phytomone London Cosmetic HRT Skin Care Collection. Read the article Click here.